Scentsy has fantastic incentives for brand new Scentsy Consultants to help them kickstart their Scentsy business and find instant success. One of the great incentives Scentsy offers is called the Shooting Star Award. 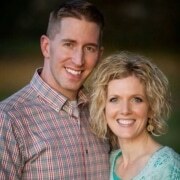 Normally, any Scentsy Consultant who sells 500 in PRV (approx. 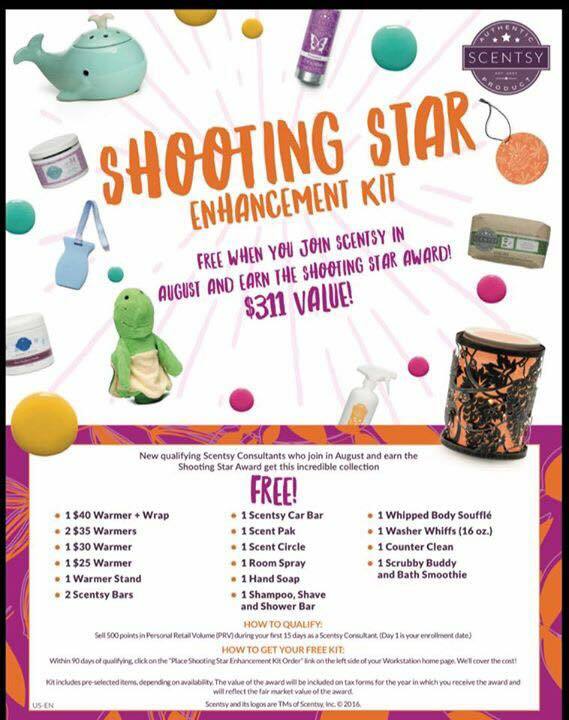 $500 USD) in their first 15 days is eligible to purchase the Scentsy Shooting Star Kit which is a collection of current Scentsy products valued at approx. $309 USD for only $200! In addition to the deep discount on the kit Scentsy Consultants are also paid commission on the purchase of the kit making it actually even cheaper! The kit is a great way to get more Scentsy product to showcase at parties. How do I Earn Shooting Star?! Earning Shooting Star is easy and such a great way to really launch your new business! Whether Scentsy is a side hustle for you to help cover bills or if you’re going all-in Shooting Star is a great way to earn back your startup costs quickly! To earn Shooting Star simply sell 500 in PRV (Sales) in your first 15 days, that’s it! Once you’ve earned Shooting Star you’re able to purchase a kit of Scentsy product valued at over $300 at a steeply discounted price! That allows you to have more product to demo, sell to customers, give to customers to get them familiar with the product or just to use in your own home! In addition to the great Shooting Star incentive, Scentsy offers an amazing program called Scentsational Start to really kickstart your business and help you earn some FREE Product! Here’s a video explaining Scentsational Start. Ready to launch your new Scentsy business and earn Scentsational Start?! Simply follow this link to kickstart your Scentsy venture! 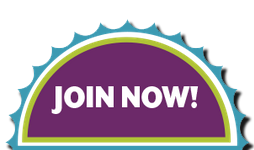 Join Scentsy. Not ready to be an entrepreneur but want to see all of the latest Scentsy Warmers? 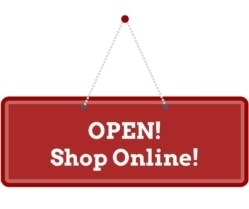 Follow this link to browse my Scentsy Store. There are many incentives and reasons for having a quick start when you join Scentsy. One of those award incentives is called the Shooting Star Award. To earn the Shooting Star Scentsy Award, a consultant has to sell 500 PRV points within 15 days of signing up to sell Scentsy. When a Scentsy Consultant earns this award, he/she not only earns enough in commission pay to cover the cost of the startup kit, but she also has the opportunity to purchase the Shooting Star Enhancement Kit. This kit is valued over $300, and is available to a Scentsy Consultant who earns Shooting Star to purchase for only $200 USD. The good thing is that they earn commission on the purchase as well, so it is an even better deal than it appears. This exclusive Shooting Star Enhancement Kit includes many current Scentsy products, which the new Consultant can keep for personal use, can use for displays at parties or events, can sell to customers, or can even be used as gifts or “trial” warmers for prospective customers. This Shooting Star kit greatly enhances a Consultant’s new Scentsy business, and is definitely worth aiming for. As I mentioned before, the way to earn the Scentsy Shooting Star Award is to join and sell 500 PRV in your first 15 days of signing up to sell Scentsy. This emphasizes the importance of planning a Scentsy Launch Party quickly, making goals, and spreading the word about your new Scentsy business! If you know you are going to join Scentsy, you can make plans for how you are going to launch your new Scentsy business before you are even officially a Scentsy Consultant. 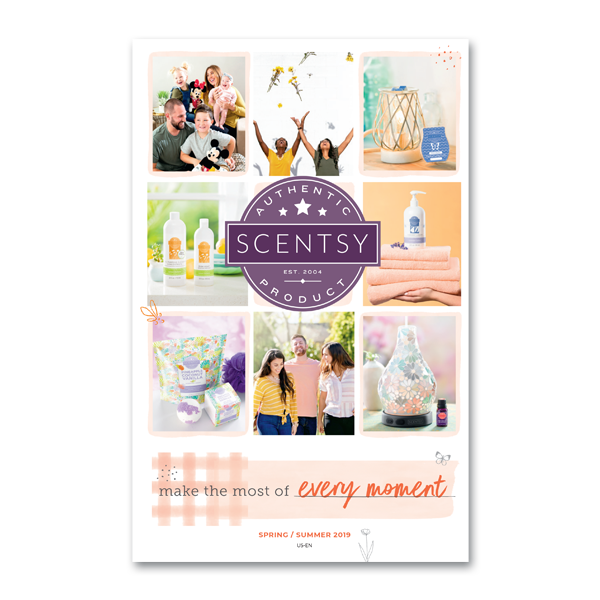 Make a list of all of the different ideas you have for growing your new business, and all of the people you can think of who might be interested in joining your Scentsy team, hosting a party for you, or even just buying Scentsy from you. Contact them and have a calendar of parties and events booked before you even join, so the minute you sign up to sell Scentsy, you’re all planned out exactly how you will get that 500 PRV and earn the Scentsy Shooting Star Award. I have also written a few Scentsy blog posts about how to get started selling Scentsy with some great tips for success as a Scentsy Consultant. Good luck earning your Scentsy Shooting Star Award! It is definitely worth working for, and will help you get a great start to your new Scentsy business! As always, if you have any questions or need help, join my team and I will be your personal mentor to help you have success.